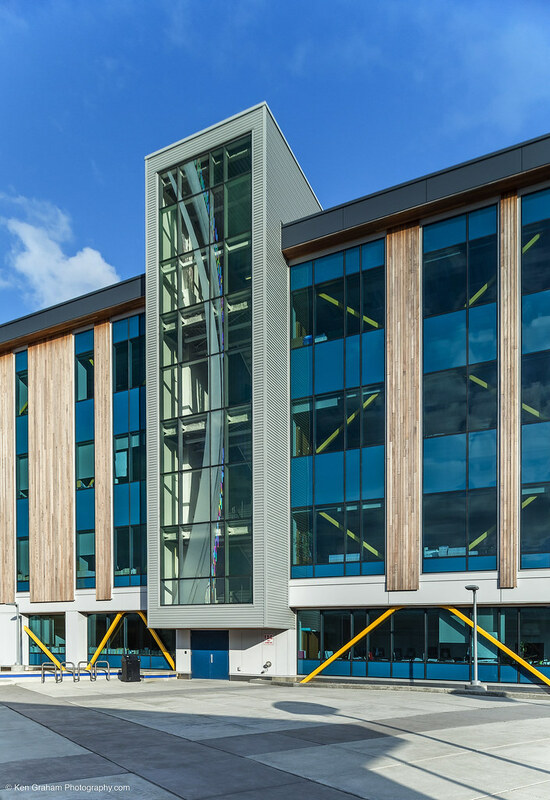 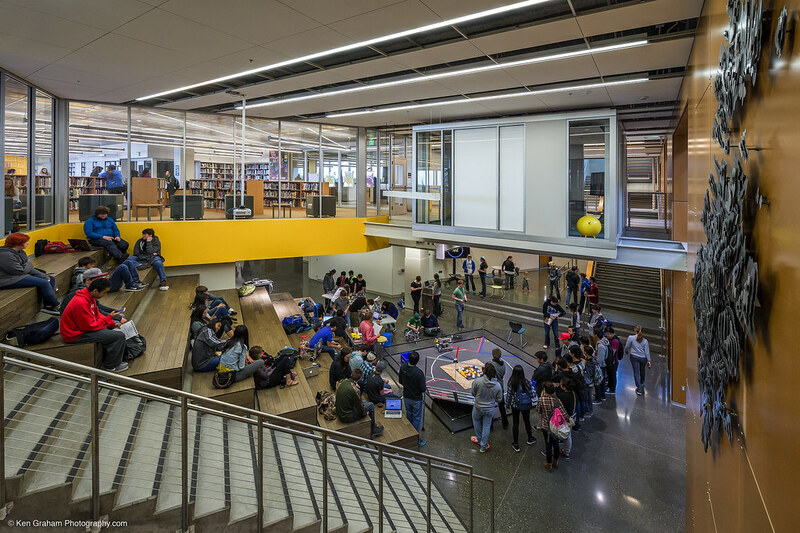 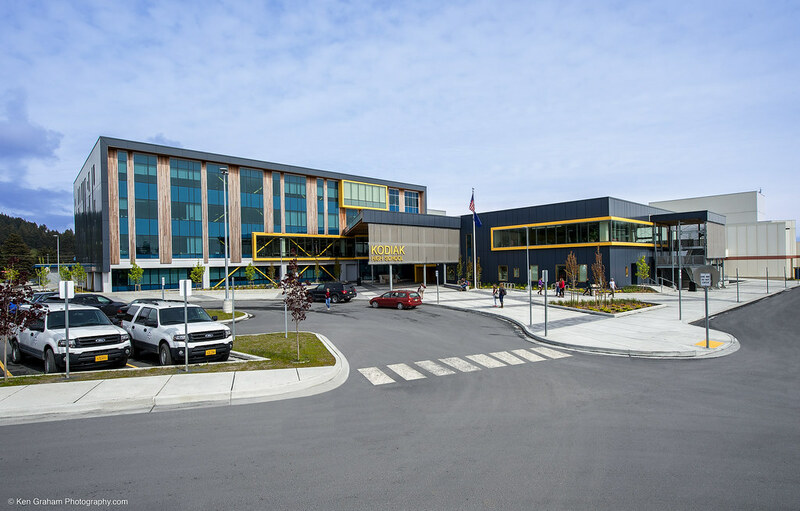 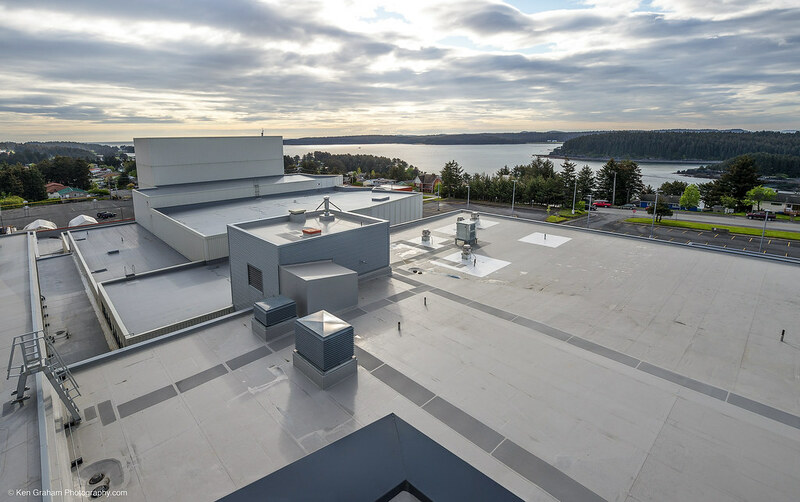 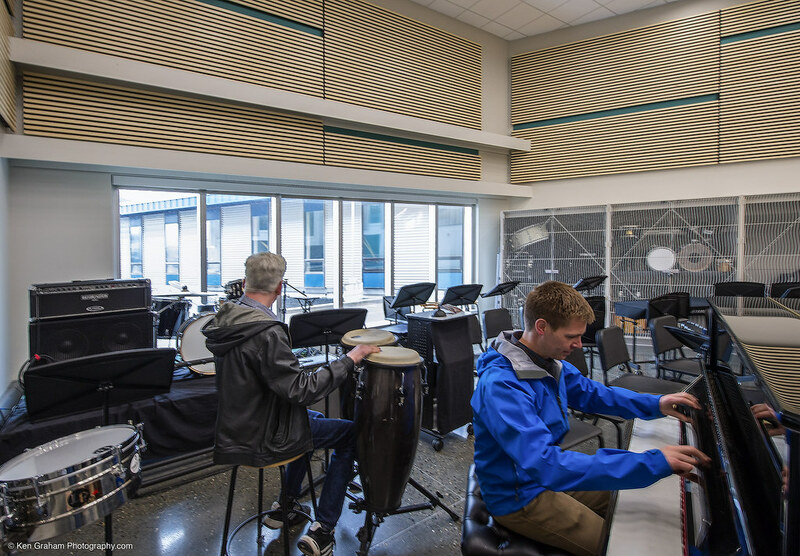 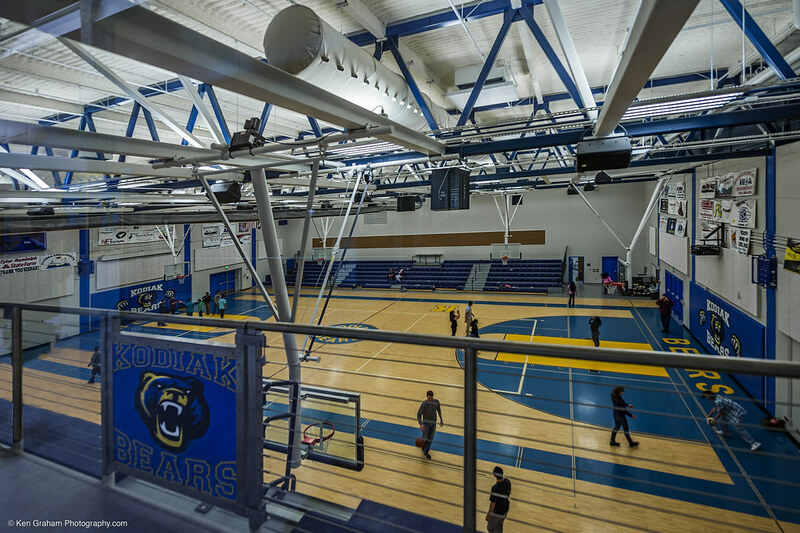 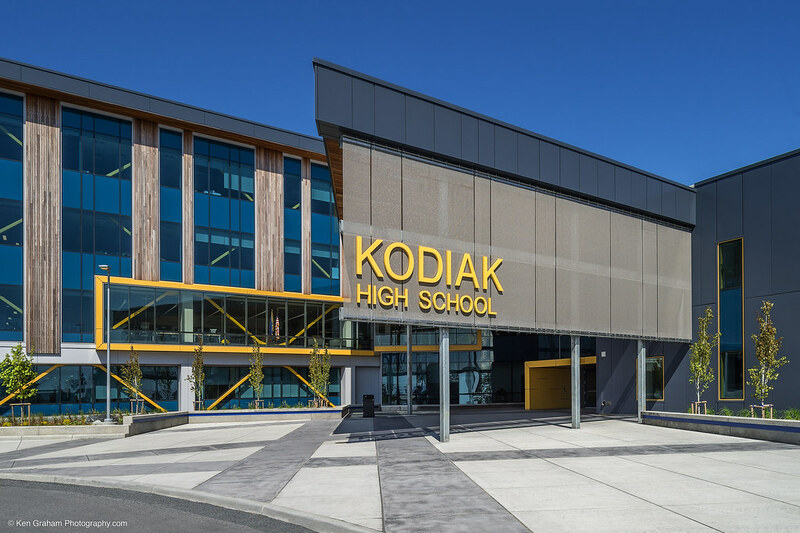 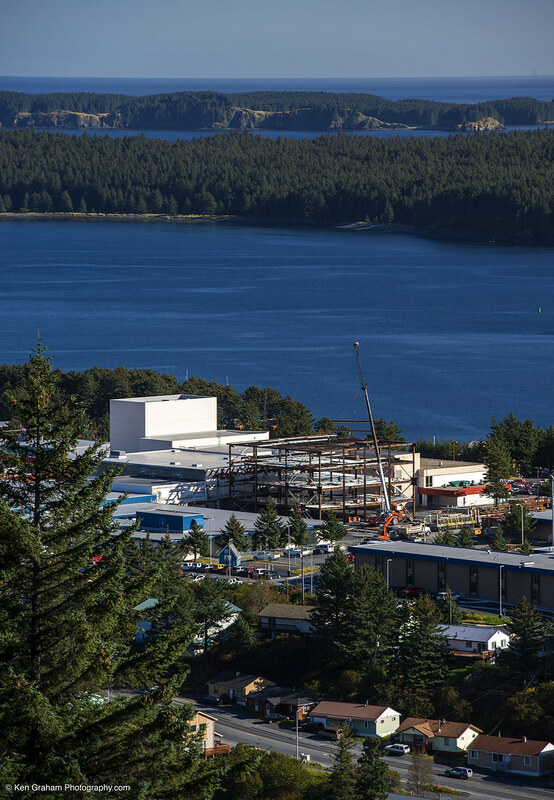 PDC provided mechanical and electrical engineering design services for this project the Kodiak High School 114,000 sf addition and 59,000 sf renovations which is the largest construction project ever designed and constructed by the Kodiak Island Borough. 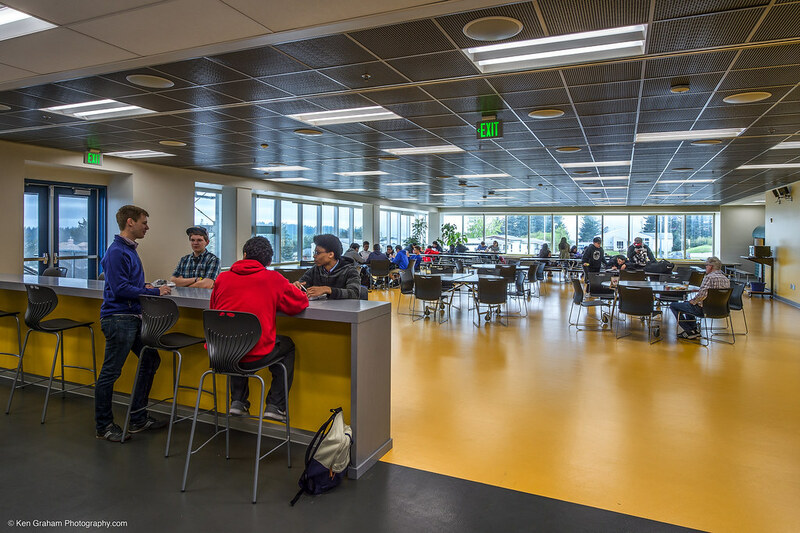 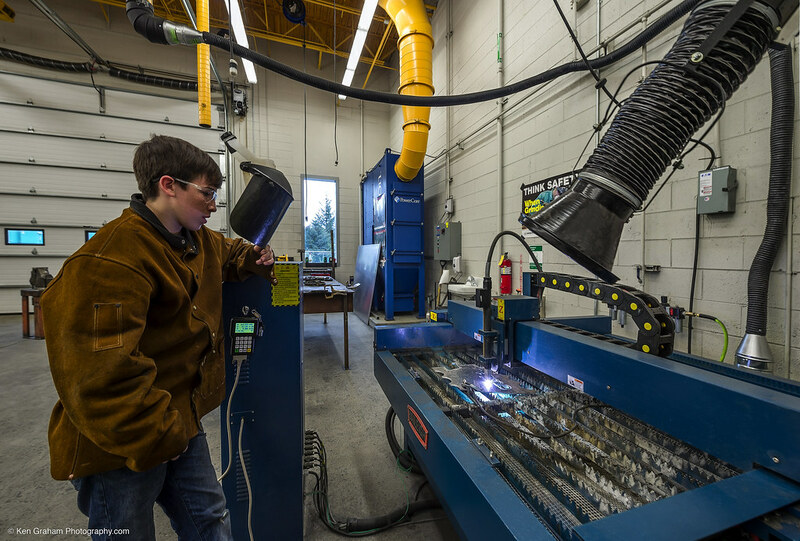 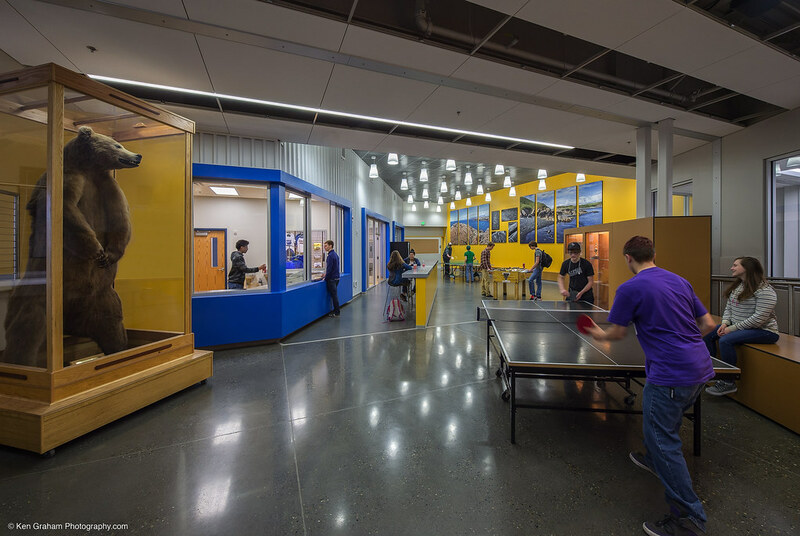 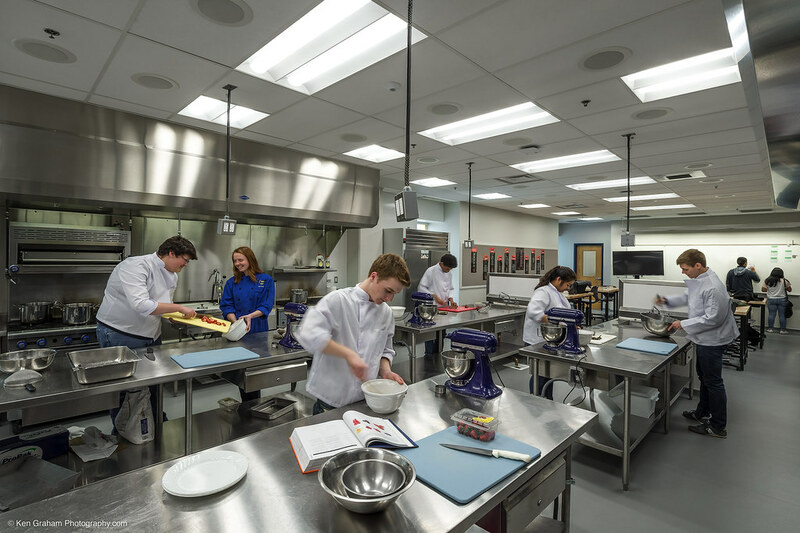 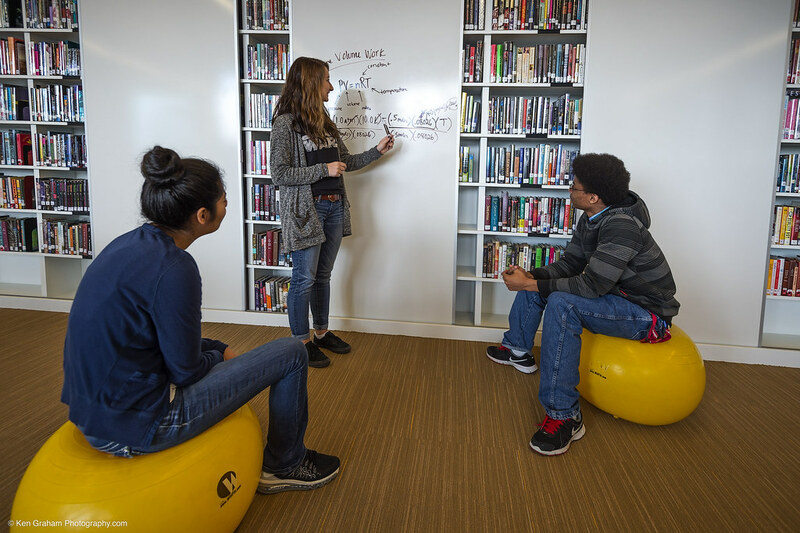 The project spaces included the library, food service, gymnasium, classrooms, and administrative offices. 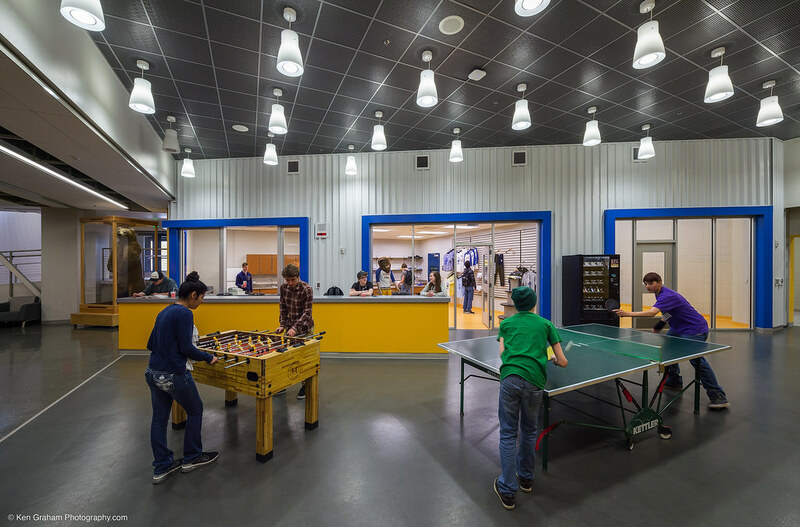 The facility is to support extensive and varied community uses. 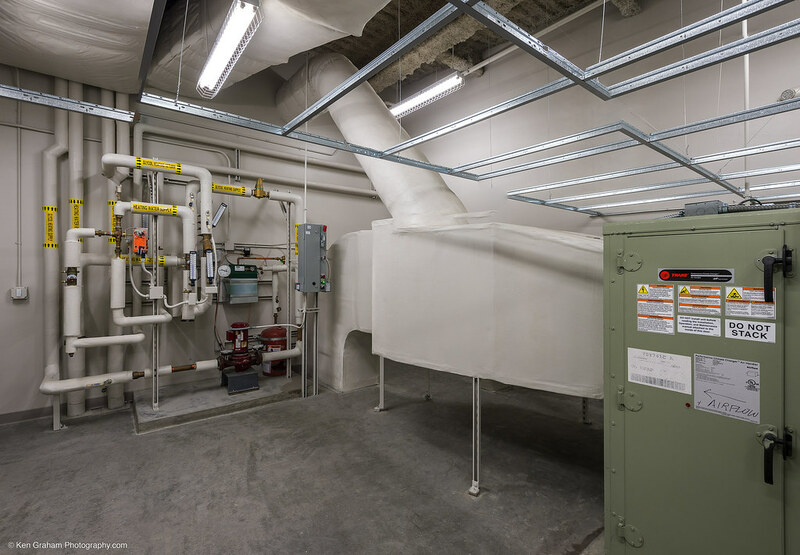 The design was implemented with a strong focus on reliability, maintainability and sustainability. 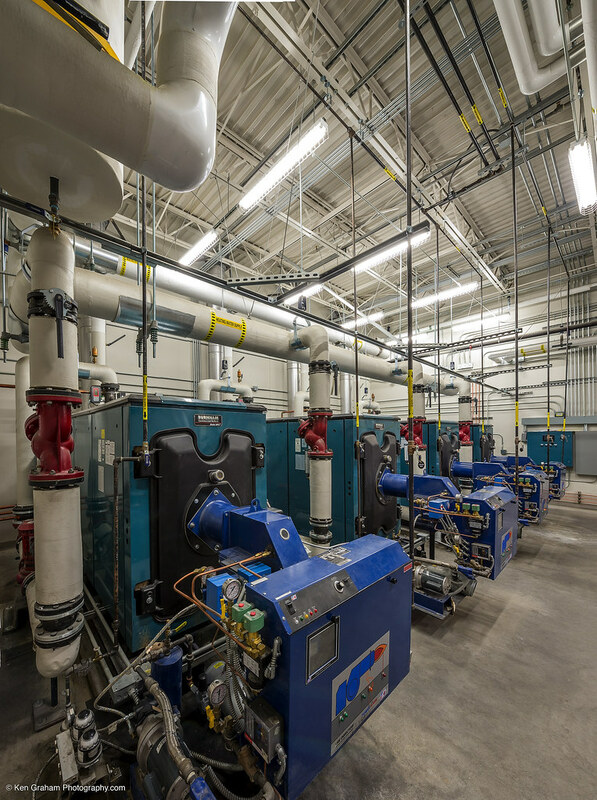 Energy efficiency was a high priority. 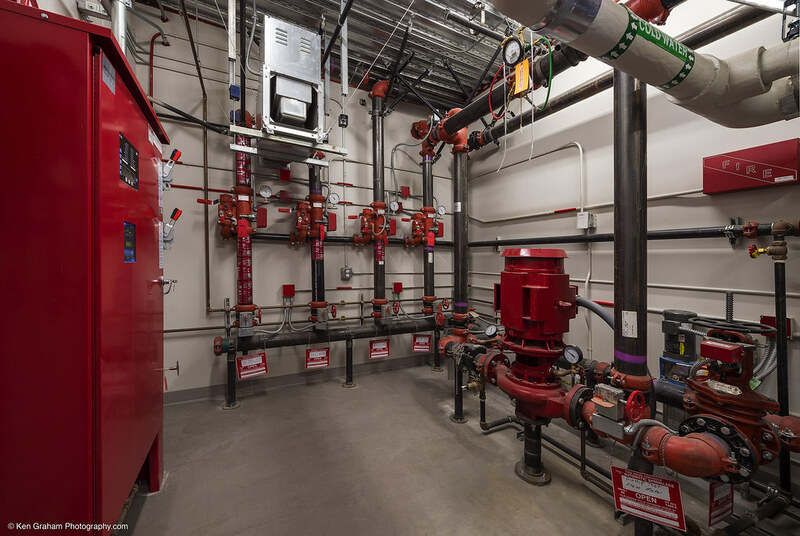 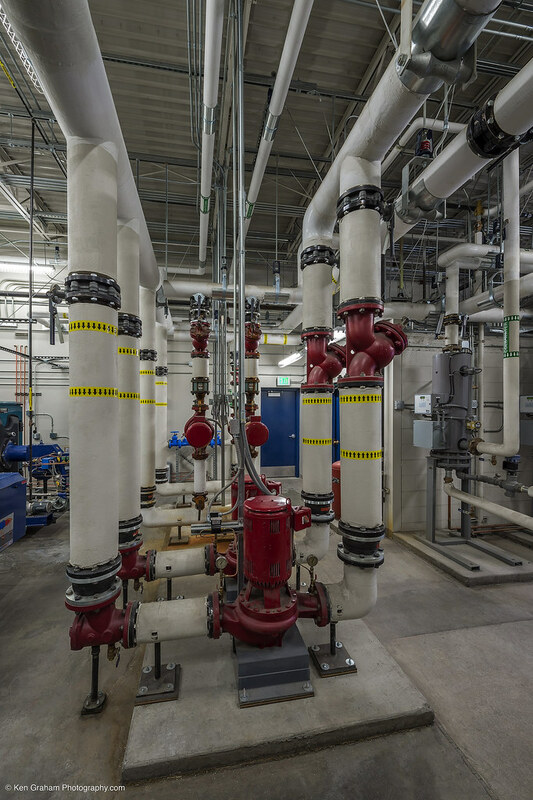 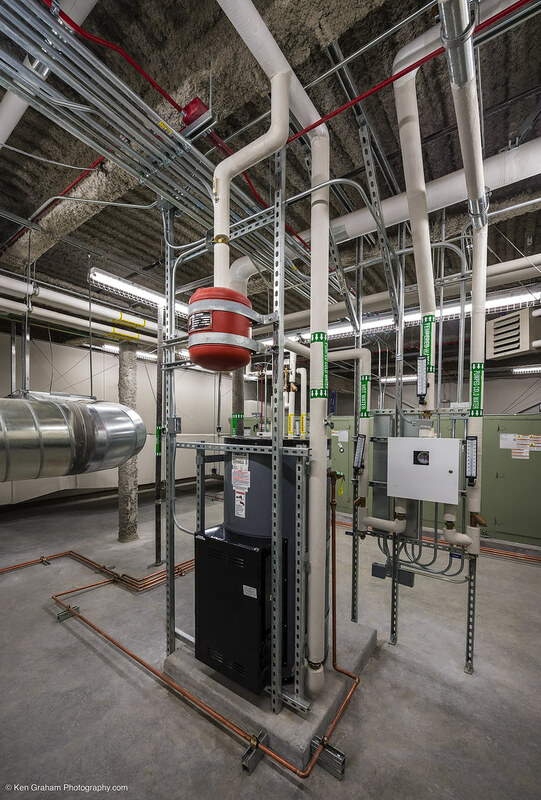 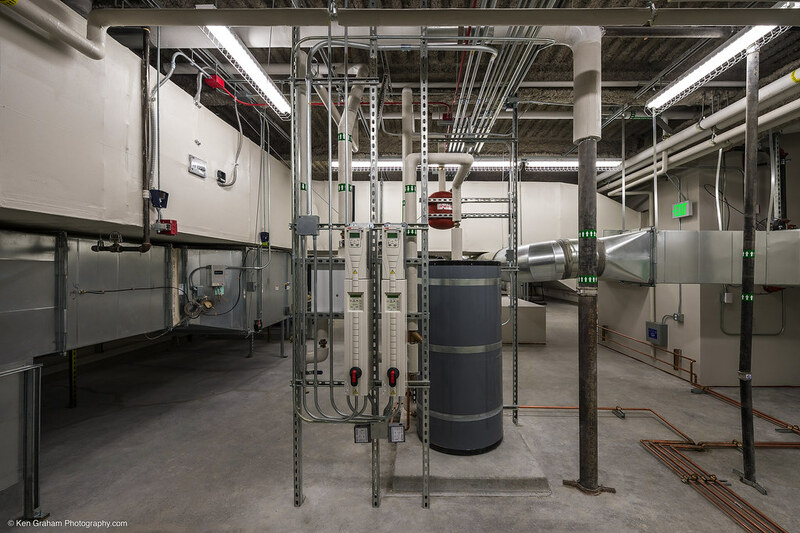 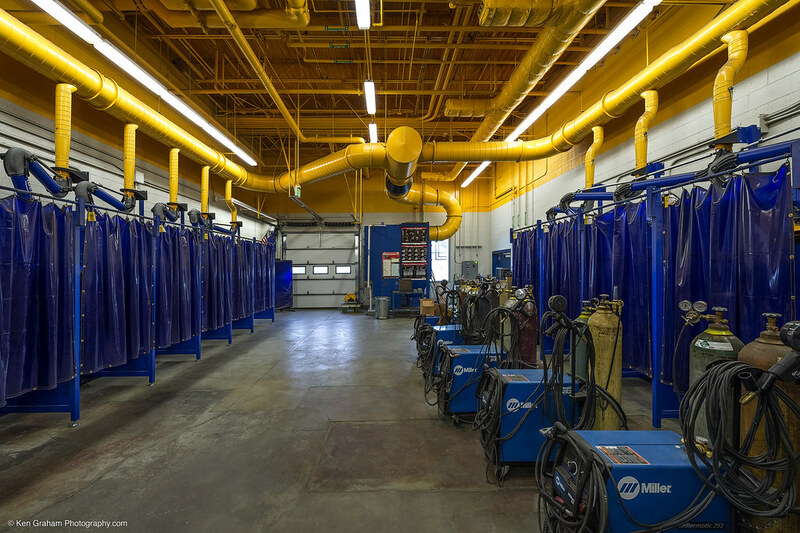 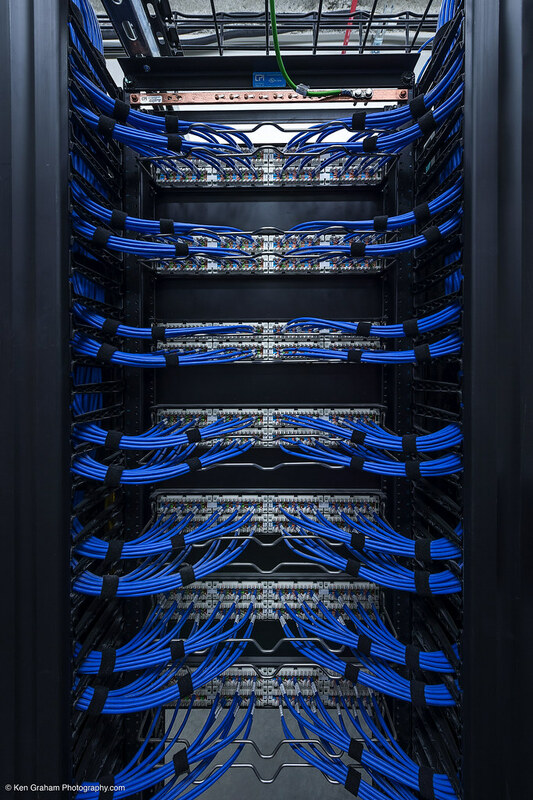 The design used BIM 3-D modeling and was accomplished with plans to integrate the BIM model into future Owner operations and maintenance processes. 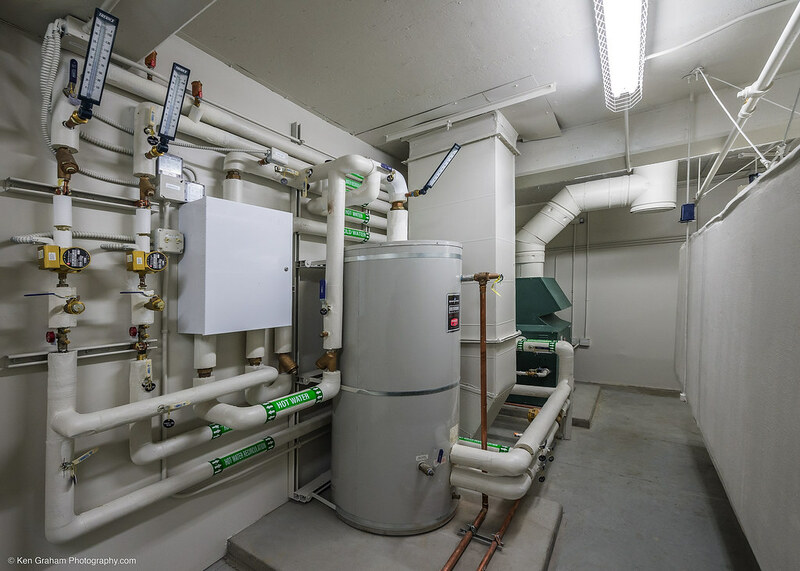 An energy efficiency goal was to obtain the equivalent of a LEED Silver project which was successfully accomplished. 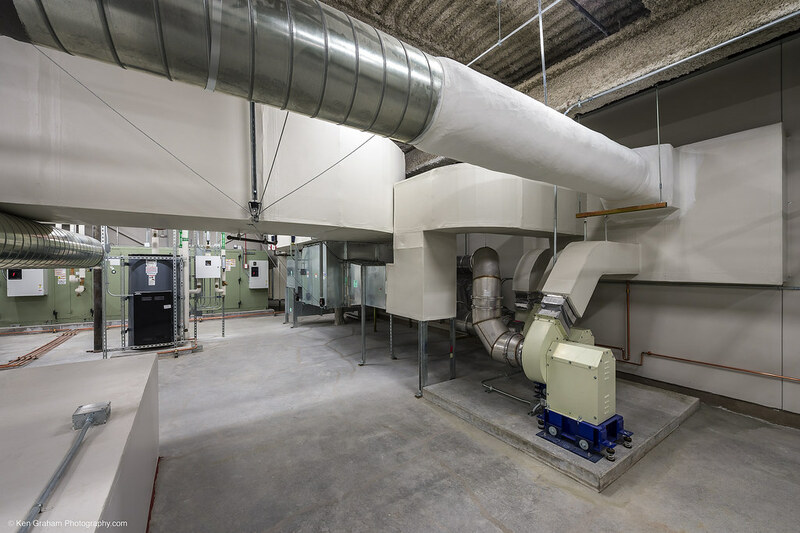 The mechanical work included a complete replacement of most central ventilation systems and all central heating plant systems. 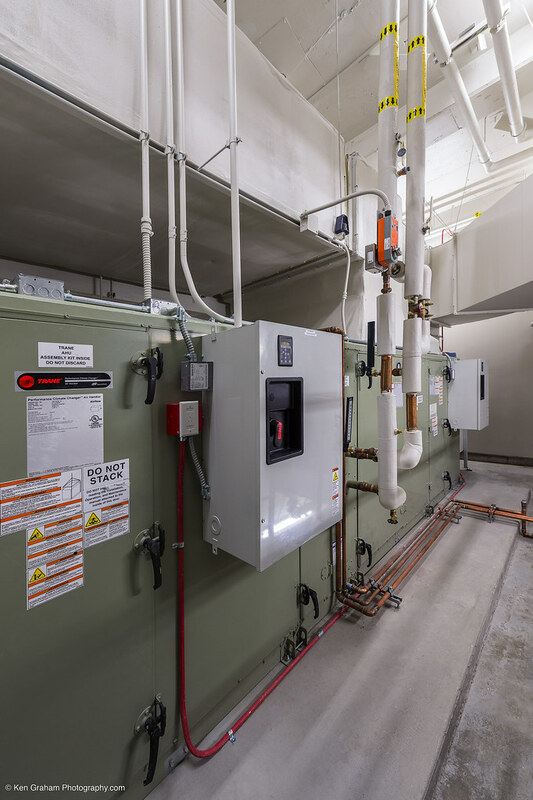 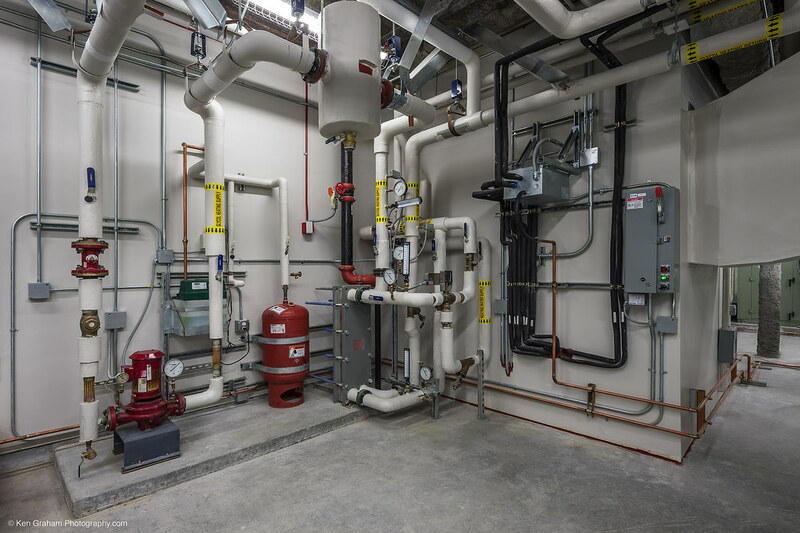 Overall costs have been reduced by choosing the heating system based on life-cycle-cost analysis, developing design alternates, and allowing value engineering efforts with a Construction Manager General Contractor. 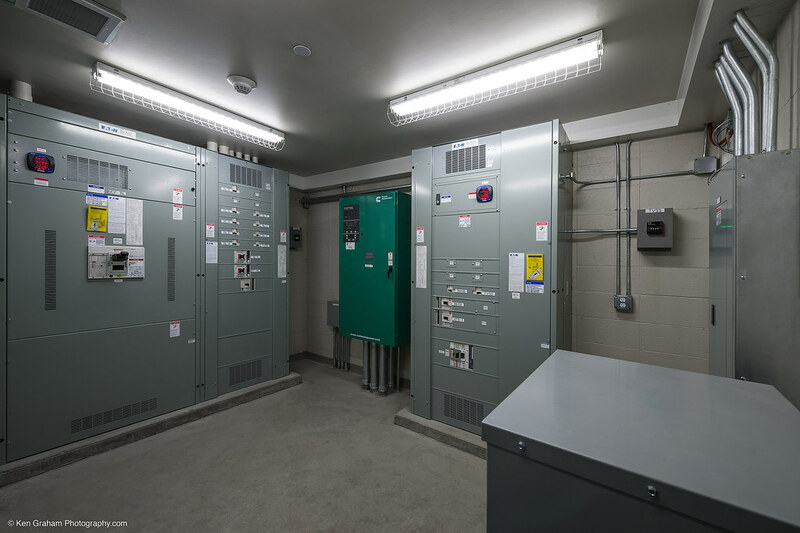 Electrical systems included complete lighting, power and IT/data systems. 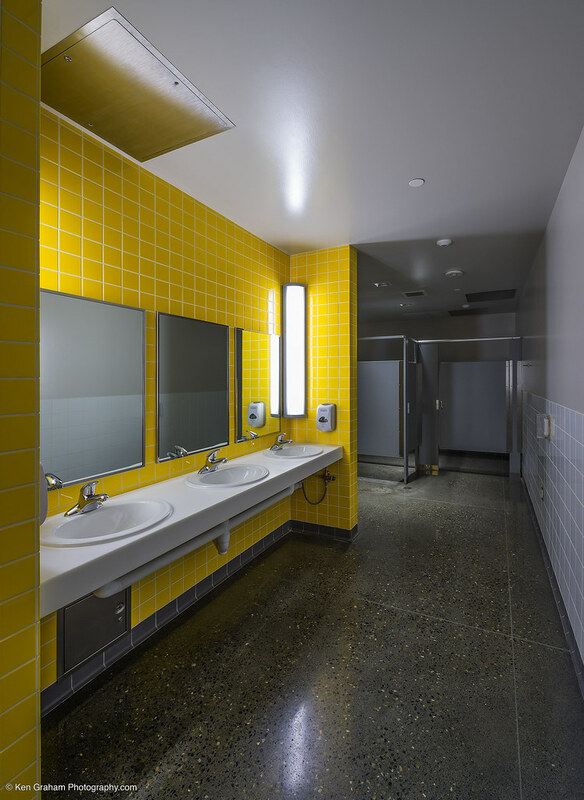 LED lighting systems were evaluated for application and implemented into the design. 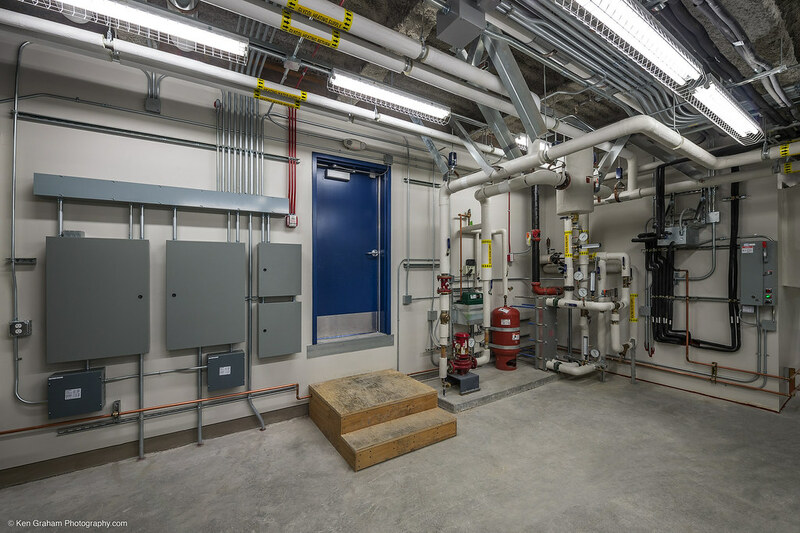 Concept design phases included close evaluation of alternatives systems for final selection with users and stakeholders.